Pierre has been asking God in his prayers to use him for spreading the Word. God has answered his prayer and commissioned him to paint the gospel. 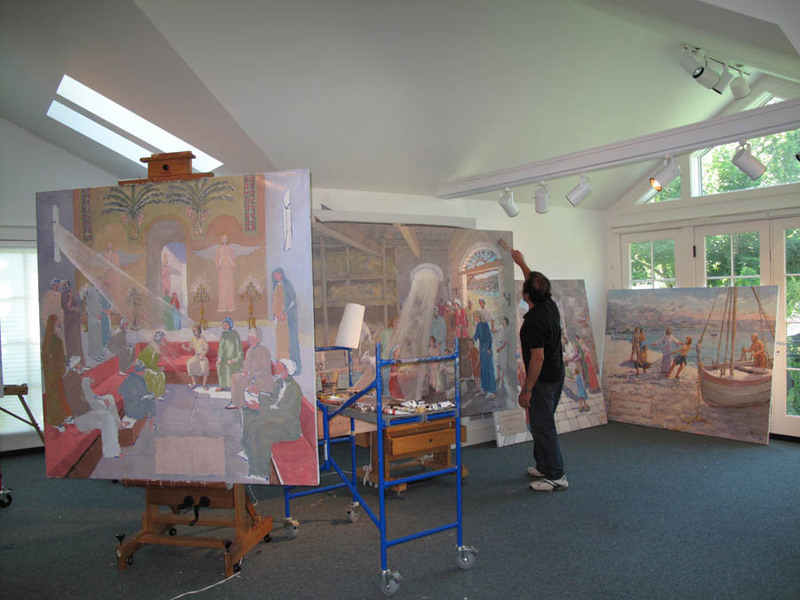 In response to this call, Pierre started in January 2011 to paint the Life of Jesus Christ inspired by the Gospel. With God's help and guidance he is progressing and will complete the colossal project early 2012. All the Glory to God. Pierre has decided to open on the first level of his Gallery a permanent Museum opened graciously to the public. 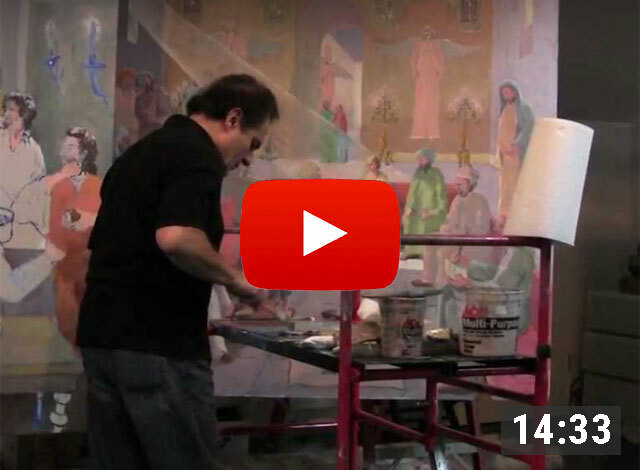 The 14 large paintings (7' x 5') will fill the first level walls and will be displayed in sequence from the Annunciation to the Ascension to Heaven. These paintings will not be available for sale, but giclees can be ordered in any desired size. The above picture was taken of Pierre in his studio while he was working on this project. This show is unique and unprecedented for two reasons. Biblical paintings have been, so far, limited to classic and academic styles. 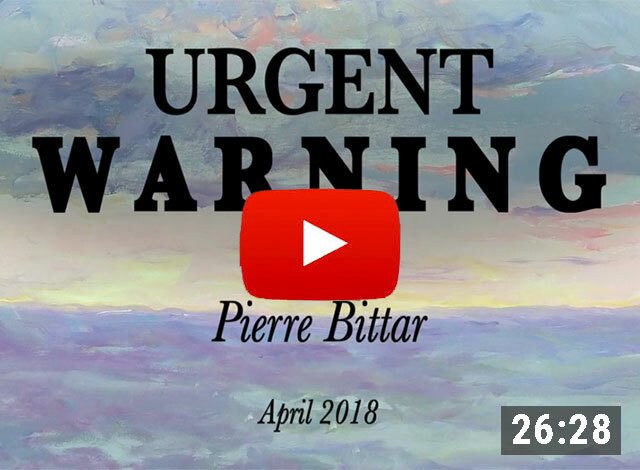 This will be the first time in history that an impressionist artist is painting the Gospel with the vivid colors of the outside "plein-air" artist. 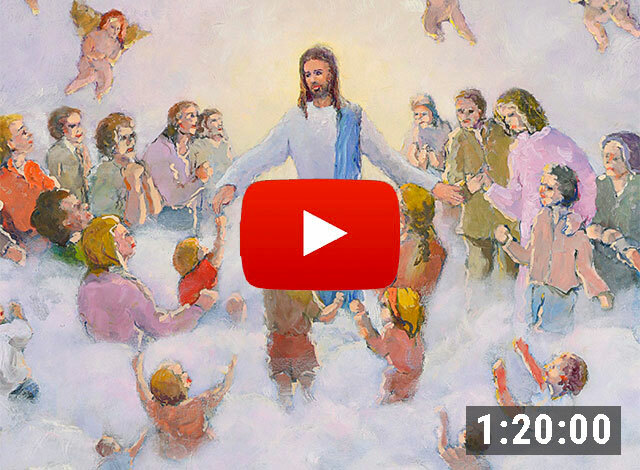 This will be one of the rare art exhibitions illustrating in original oil paintings the full life of our Lord - birth, childhood, ministry, death, resurrection and ascension - by the same artist.